Manufactured in Etats-Unis from 1925 until 0. 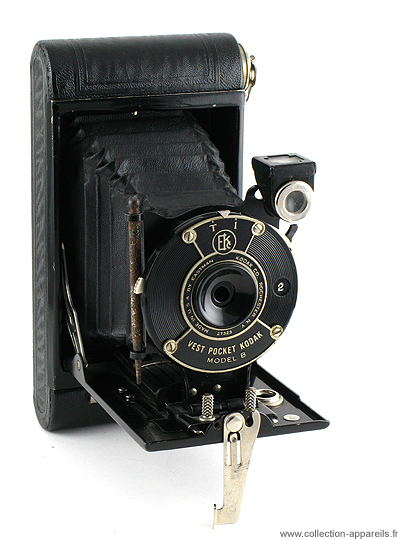 Vest Pocket model B took the succession of famous Vest Pocket Autographic since 1925 and that until 1934. If the size remains with few things close that of its predecessor, the completion is much more luxurious. It became “folding camera”, whereas before, it resembled one Klapp more. Its load pattern became a little more practical, since it is not any more one side of the body which was removed, but all the former part. 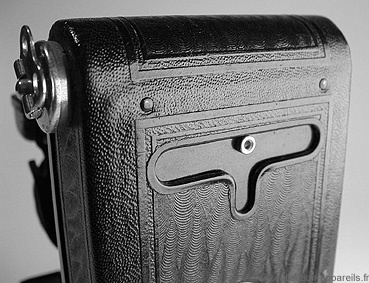 In 1930, it lost its function of autographic to join the innumerable rows of the “normal” folding cameras.